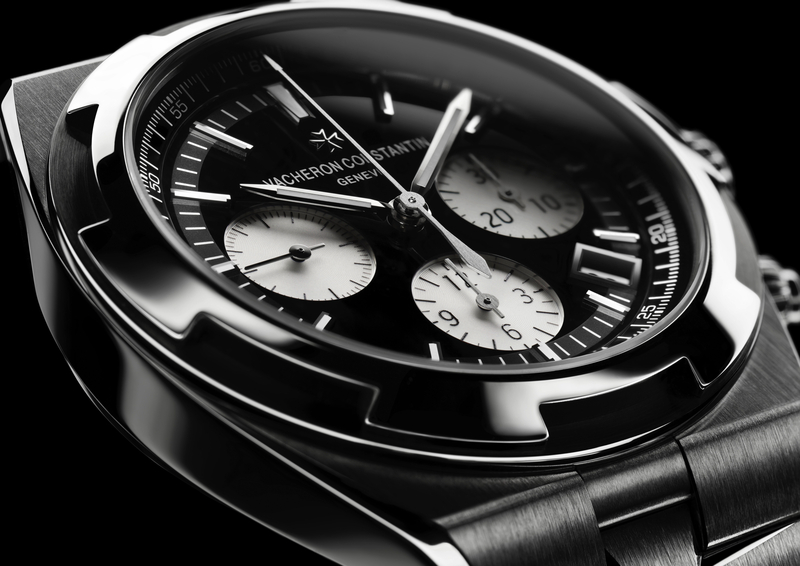 Vacheron Constantin recently announced a limited edition platinum complete calendar watch that will be officially released at SIHH 2018. The Traditionnelle Complete Calendar comes in a round platinum case that measures 41 mm x 10.72 mm and features a sandblasted solid platinum dial punctuated by white gold facetted Dauphine-shaped hour and minute hands, and white gold applied baton-shaped hour markers. A railway-type minute track is printed in black on the inner chapter ring for minutes and seconds, with “1-31” printed in blue on the outer chapter ring for the date, indicated with a long crescent-tipped blue center hand. 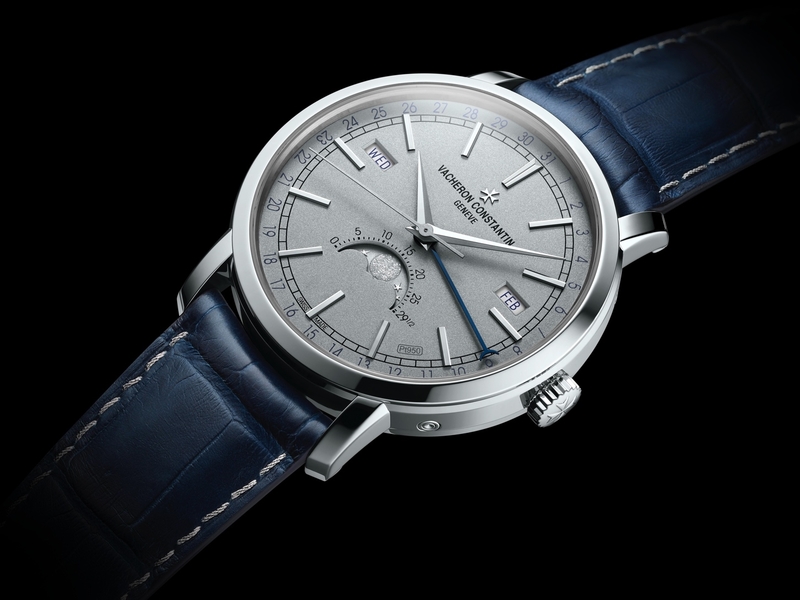 One of the highlights of the gorgeous platinum dial is a moon phase disc that’s also crafted from 950 platinum. 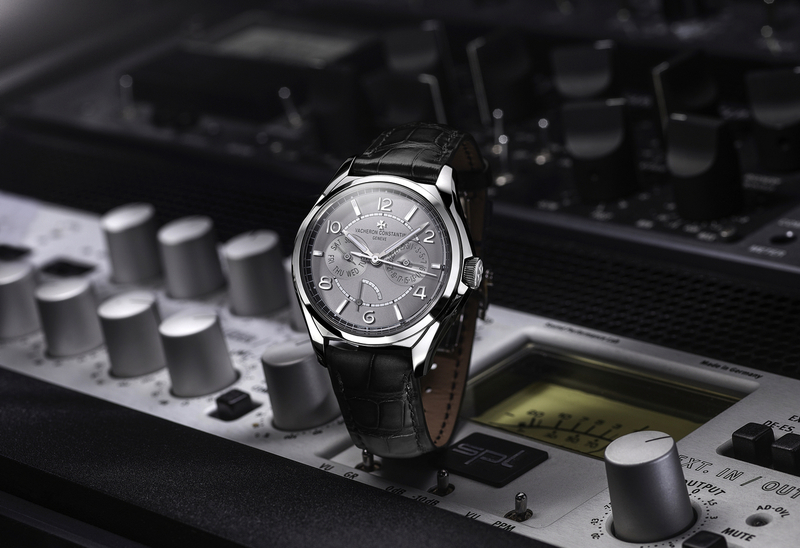 Driving the functions is a self-winding caliber 2460 QCL which beats at 4Hz, has 308 components, 27 jewels, and a 40-hour power reserve. 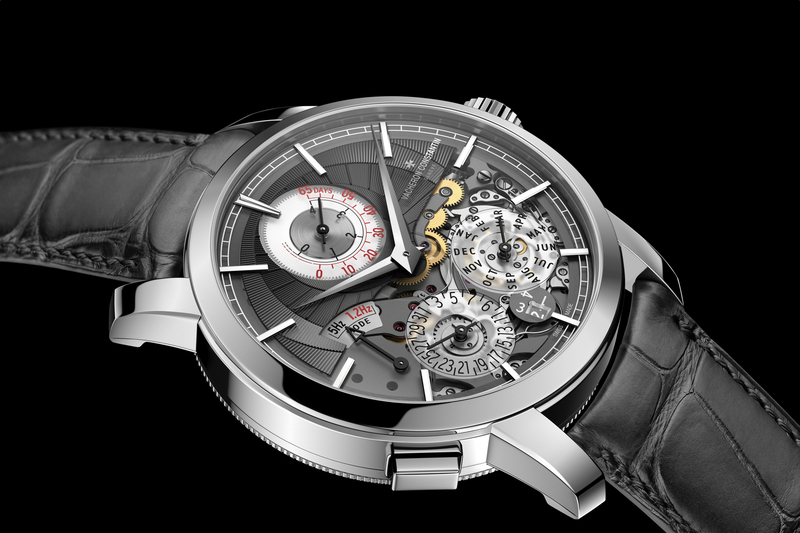 The watch has center hours, minutes, and seconds, as well as a complete calendar (day, date, month) and a moon phase indicator (accurate for 122 years). The watch is wound by a 22K rose gold rotor which has a guilloche motif and “Vacheron Constantin” embossed on the perimeter. Water-resistance is 30 meters.